Left Captain Raymond Bideaux and to his right Captain Wagner Tanis. 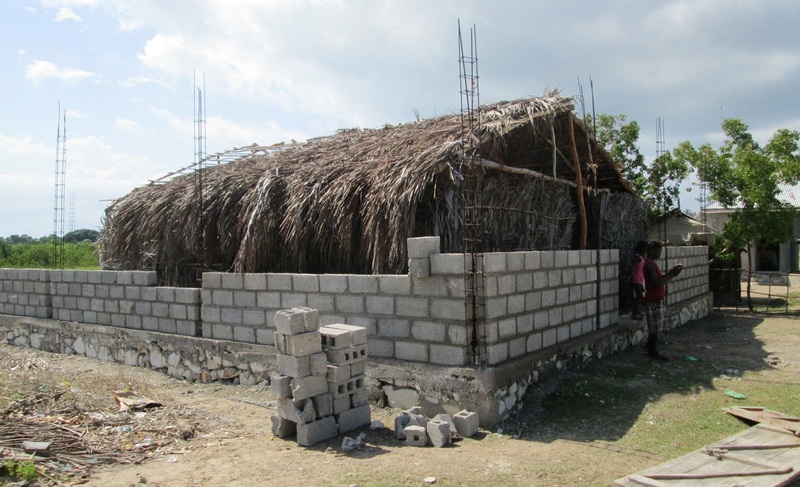 Raymond has 13 parish churches he runs in Haiti. He is an ordained Methodist Minister and is a well known ordained Independent Holiness Baptist Minister in Haiti. He lived in Haiti for 18 years while raising his young family there and now has 29 years of service in this country. He speaks fluent Creole and is very respected by the people of Haiti. 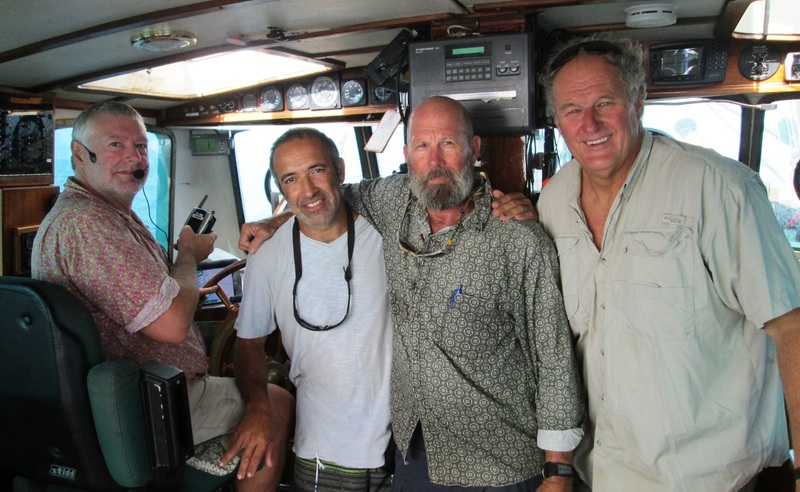 He is a master scuba diver and is involved internationally on a variety of historic diving events. 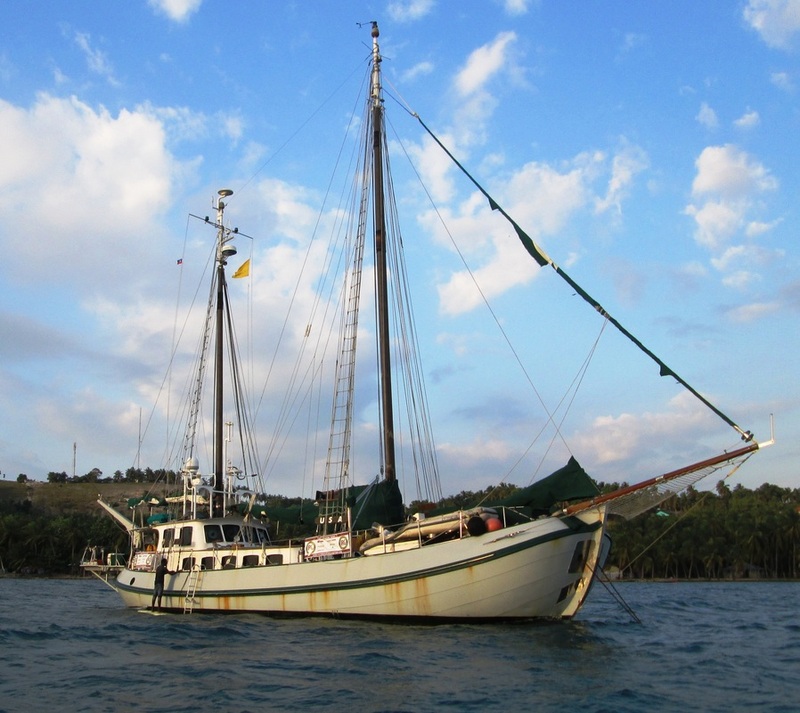 Ray learned to sail with Bruce Leeming while trying to get out of Haiti one year with his wife. They had a serious family concern back in Florida and the only way out was to sail out as Haiti was in flux and all the roads shut down with protests. 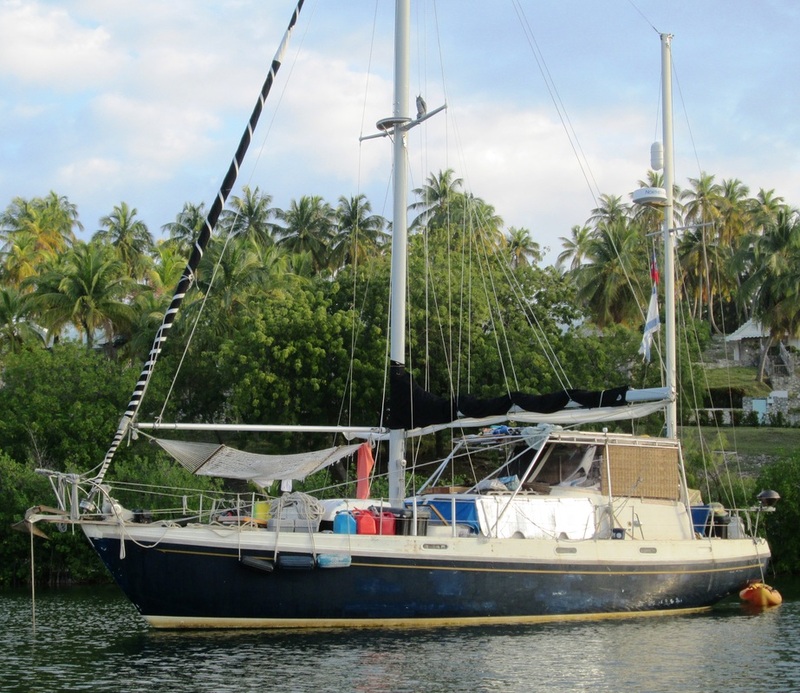 Ray excelled at sailing and since then has owned a variety of sailboats. His wife was sick the whole way home but her courage and determination to get home to her family was inspiring. 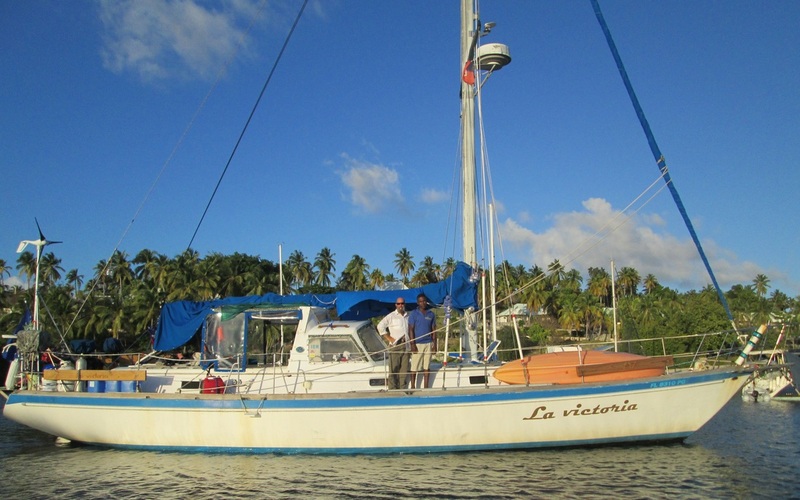 Ray hopes to open a dive centre in Ile a Vache and is looking for people to get involved. Wagner Tanis was a scuba diving student of Rays. When I first met Wagner he would not put his toes in the water for fear of them being bit off. Thanks to Ray training him and certifying him, he is a level 2 scuba diver. Wagner is a very strong swimmer and I have dove with him many times. Wagner has been a big help to me over the last 15 years. 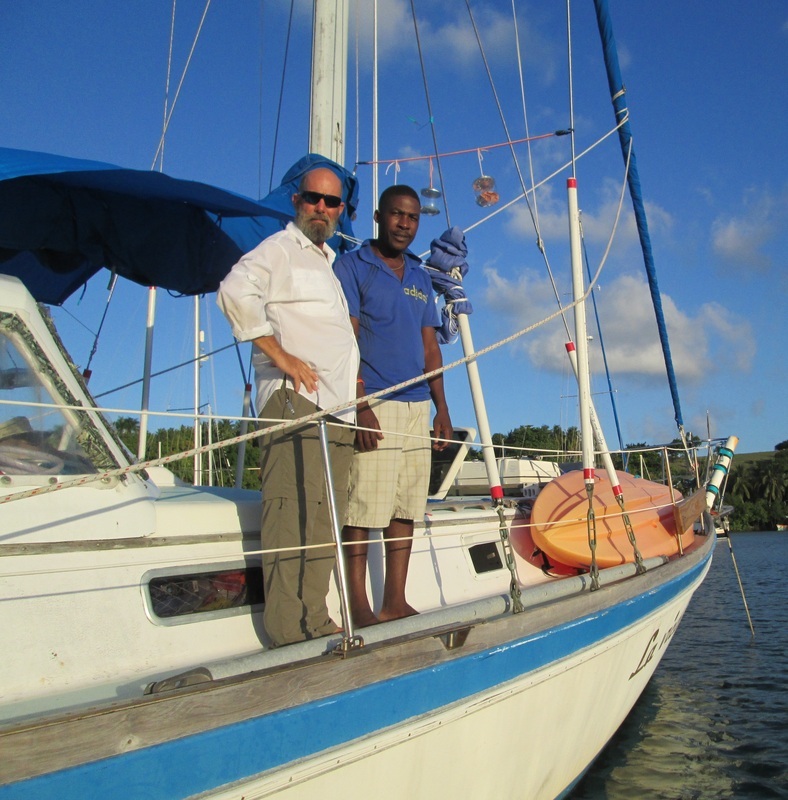 Not only can he skipper my boat now as well as anyone but I can trust him 100% with large amounts of cash we send him to build fish farms, water cisterns and other projects. Raymond and Wagner are a real hope for Haiti. 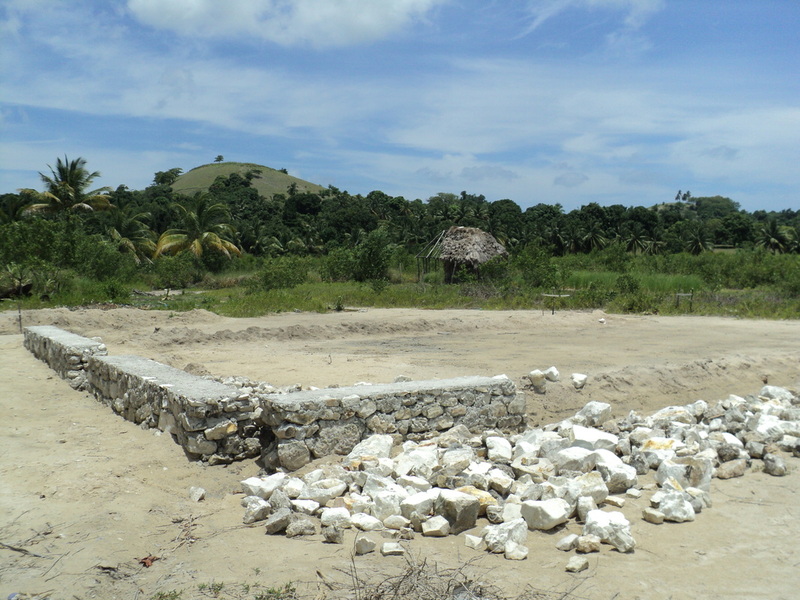 Ray is presently building a community centre/medical clinic/church on the south east part of Ile a Vache. He will host medical seminars/clinics where the people can be treated and learn about health issues. He needs to raise about 10,000 US to complete this much needed project. 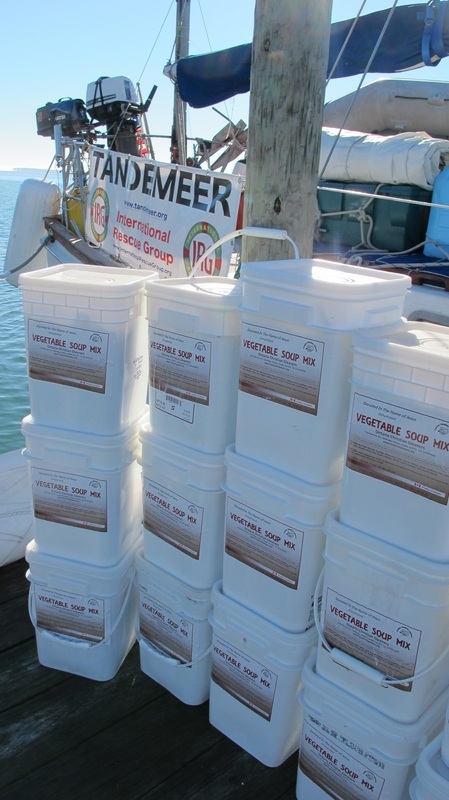 Crew loading the vessel with supplies for Haiti. 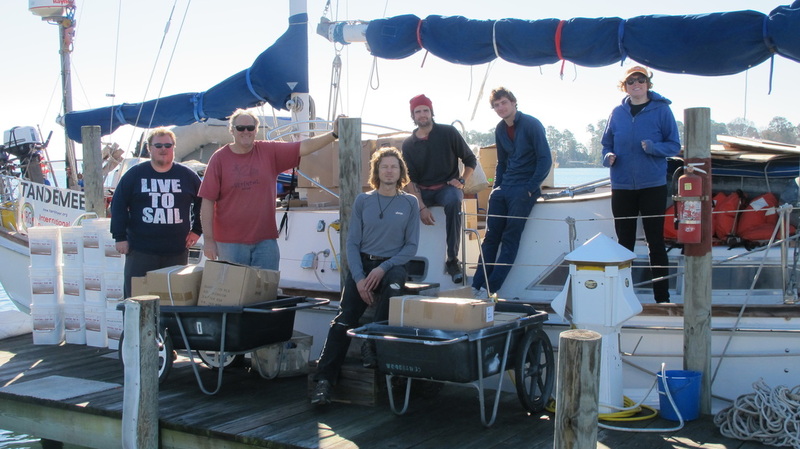 Heading out from Virginia to round Cape Hatteras and down to Florida, then the Bahamas to Haiti.